This year is the centenary of the death of the Baptist missionary Dr Timothy Richard. 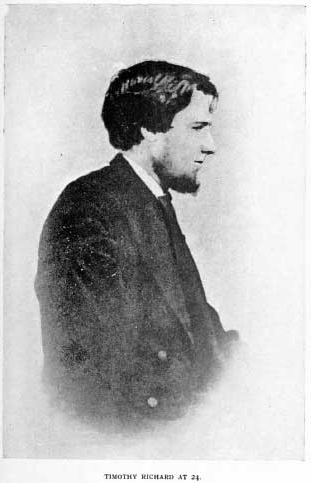 Born in Ffaldybrenin, Carmarthenshire, Richard has been described as ‘one of the greatest missionaries whom any branch of the Church has ever sent to China’. He was appointed Secretary of what became the Christian Literature Society for China, he was Chancellor of what was later Shanxi University, he was conferred the rank of Mandarin of the Highest Grade by the Chinese Government and was awarded the Order of the Double Dragon. Such was his influence that it has been claimed that ‘he enjoyed greater power than any Welshman in history, apart from David Lloyd George’ and that the name of ‘Li Timotai’ was known and respected throughout China. 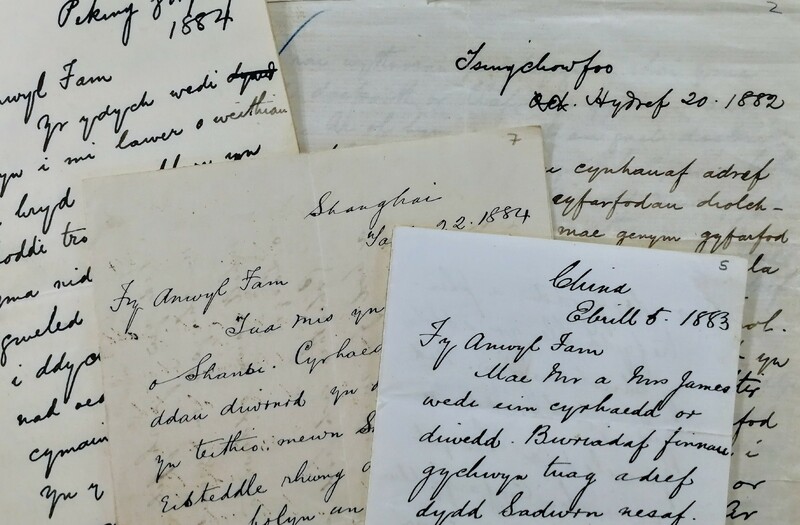 The National Library of Wales marks the centenary by presenting a collection of 32 letters that Timothy and his wife, Mary, wrote to his mother, Eleanor, in Ffaldybrenin, near Llandeilo. 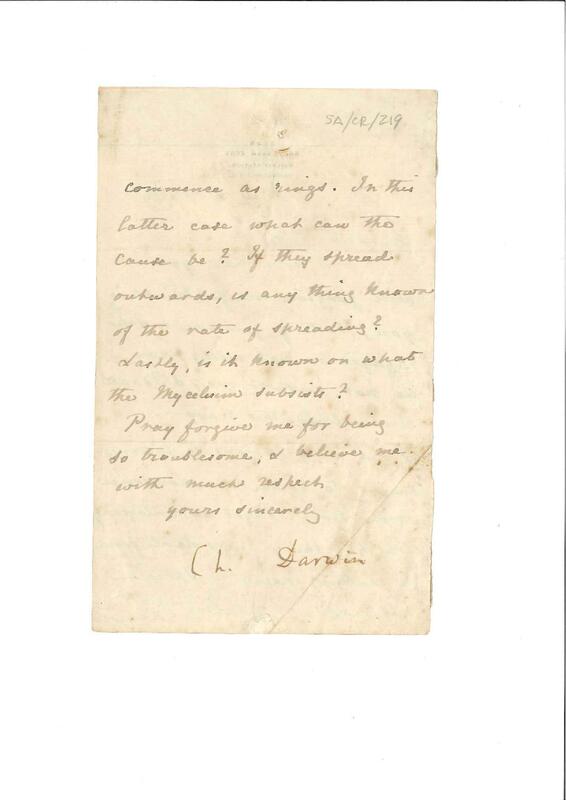 The letter have been specially digitised and are now available to read online for the first time. Timothy Richard was the youngest of nine children born to Eleanor and Timothy Richard of Tanyresgair, Ffaldybrenin. He was baptized in 1859, when he was about 14 years old, and became a member of Caeo Baptist Church. He entered Haverfordwest Baptist College in 1865 and was sent as a missionary to China by the Baptist Missionary Society in 1869. It is the extent of Richard’s later influence that gives particular significance to these documents, but they also serve as a record of his personal experiences as a missionary, and of challenges that would have been faced by the many other missionaries and their families who travelled to distant parts of the world during the 19th century. Written between February 1878 and May 1884, the first nine letters belong to the early period of his mission to China. In the eight years between his arrival at Shanghai and the earliest of the letters, Shandong and Shanxi, the provinces where he was based, had suffered widespread famine which had claimed millions of lives. Richard’s response was to organise relief for the victims, and he succeeded in raising thousands of pounds towards the cause. Timothy writes to his mother in Welsh (the following excerpts are my own translations of the text) and, in a letter dated 20 October 1882, he tries to convey the geographical scale of China and the challenge that he faced as one of the few Christian missionaries there. The letters demonstrate clearly his conviction and commitment to the mission, the sacrifices made and the dangers that they faced as a family. He spent long periods away from his wife Mary and their daughters, visiting the disparate churches which had been formed and distributing Christian literature. When writing the letter dated 17 May 1884, he had received news of the birth of his fourth daughter and notes that this was the third time that he had to leave home when expecting a new arrival. Three months later, he mentions that Mary was not recovered from the birth, that the baby was also unwell, and that he expected to return home in three weeks. In the spring of 1885, Timothy Richard and his family made the journey back to Wales. 23 of the letters were written between April 1885 and May 1886. They were sent from various towns and cities in England, Scotland and Wales as Timothy travelled widely to give talks to churches and at colleges about the missionary work in China. They family was to return to China to continue the work in the autumn of 1886. The National Library of Wales is home to an important collection of contemporary Welsh art. 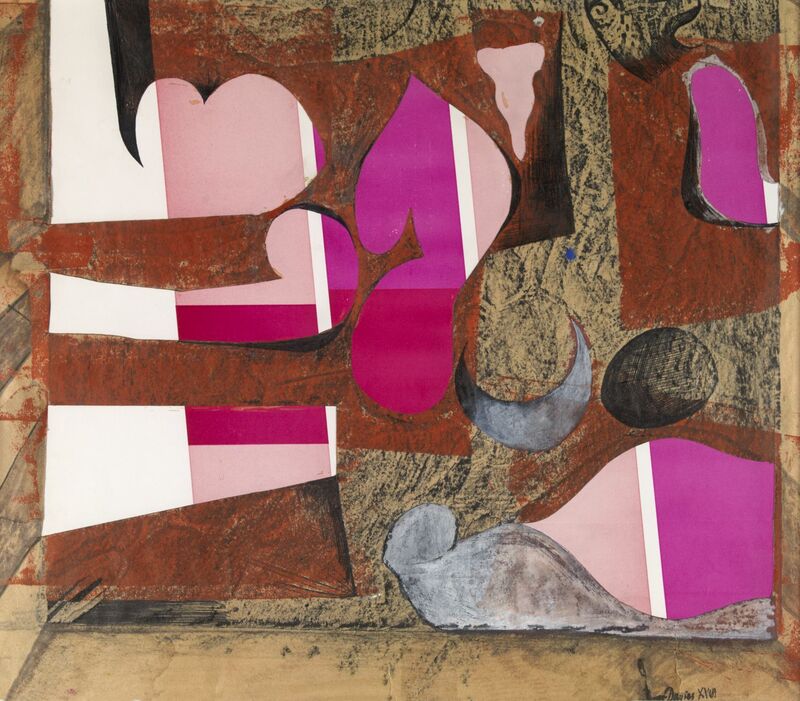 On display in the Library’s recently launched ‘Collecting Contemporary’ exhibition (6.4.19 – 21.3.20) are examples of works recently acquired by the Library, which vary from Paul Peter Piech’s dynamic linocut, to Charles Byrd’s cubist work. 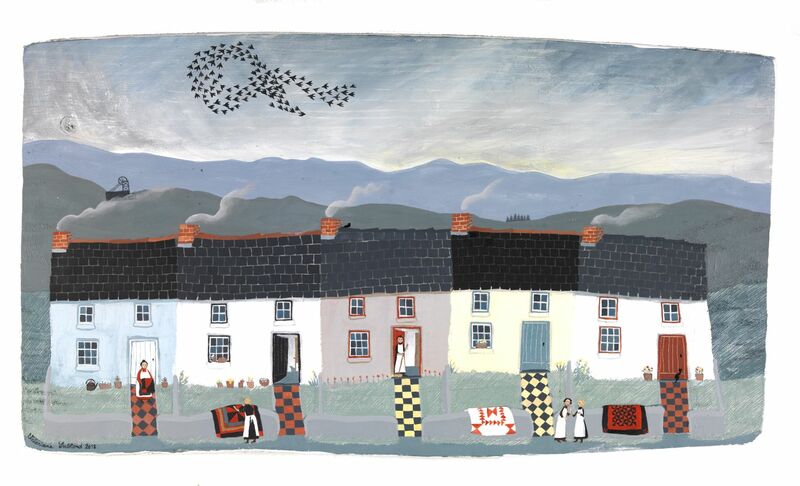 An important gift which recently came into the Library’s possession was the Roese Collection, a valuable and comprehensive collection of contemporary Welsh art. 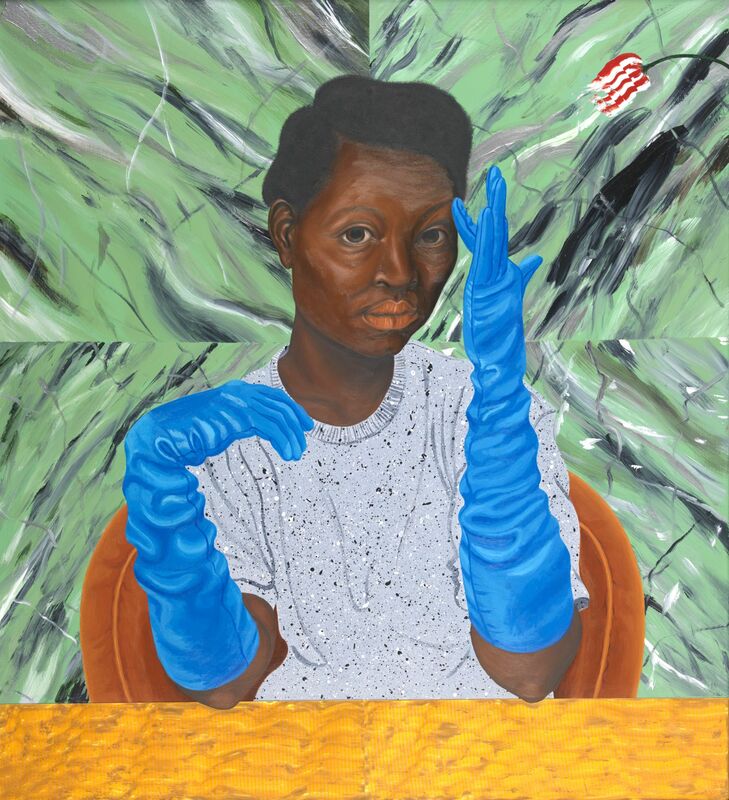 This is one of the most important collections of contemporary art to enter the Library’s collections, and a number of the works by artists such as Charles Byrd, Ernest Zobole, Ceri Richards, Mary Lloyd Jones, Ivor Davies, Glenys Cour, Charles Byrd and Iwan Bala can be viewed within this exhibition. 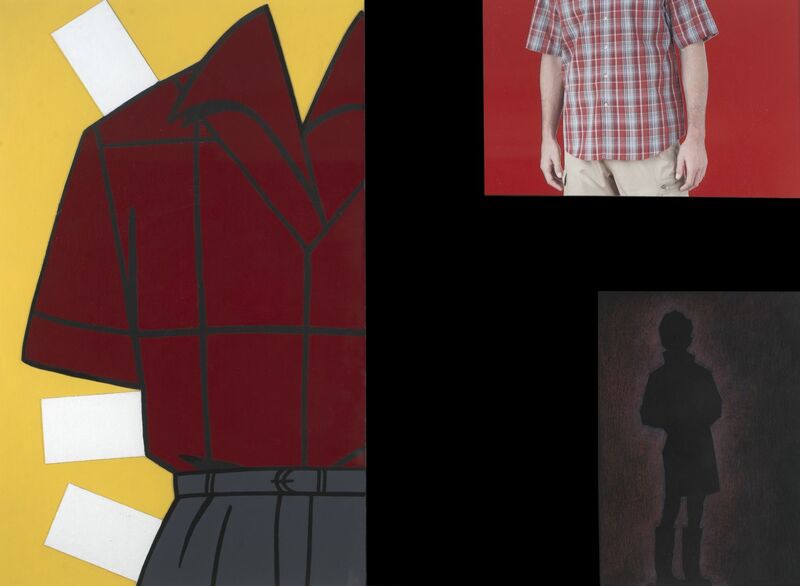 This year we were also fortunate to acquire nine iconic works by the Glyn Neath based pop artist Ken Elias into our collections. The Library prides itself in collecting works from artists who are currently attracting attention in this field, such as the London based artist Seren Morgan Jones, and the locally based artist Teresa Jenellen in Machynlleth. 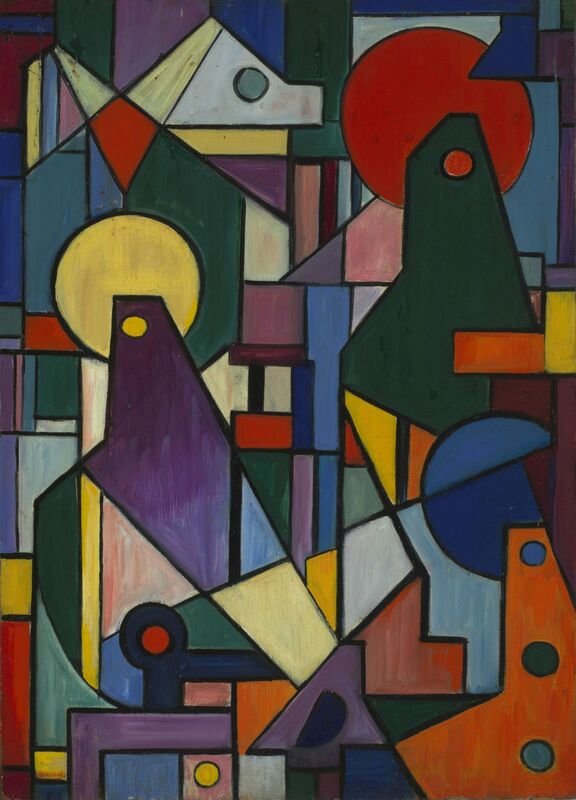 The theme of women is central to their works. Another local artist whose work is exhibited here is Valériane Le Blond, and her imaginative paintings portray a Welsh countryside which is familiar to us all, whilst Sarah Carvell’s expressionistic landscapes and Lisa Eurgain Taylor and Elfyn Lewis’ abstract works show the eternal inspiration of the Welsh landscape. Our collection is increasing in strength with ongoing purchases and donations from generous benefactors. Last month marked 30 years since the invention of the World Wide Web. Fortunately, the National Library of Wales and its partners have been archiving Welsh websites and preserving this history for generations to come. 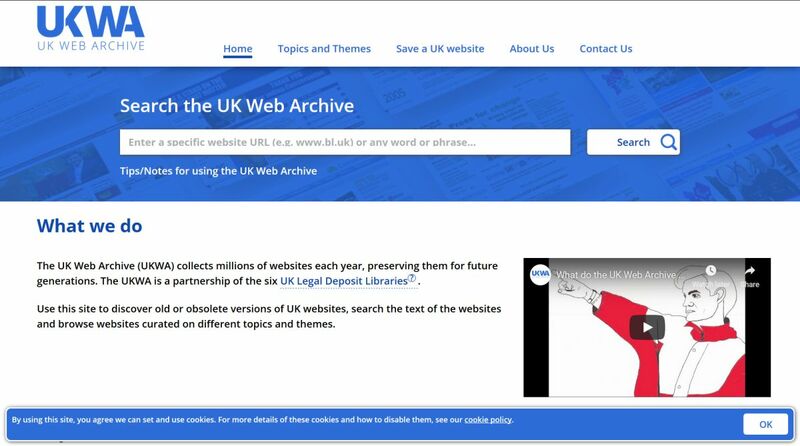 As a result, at the end of last year, the new UK Web Archive website was officially launched. This new site is a response to changes made to Legal Deposit legislation following the passing of the Legal Deposit Libraries (Non-print Works) Regulations in 2013 meaning Legal Deposit now encompasses electronic and online material such as websites, blogs, e-magazines and materials on CD-rom. The purpose of the UK Web Archive is to collect, preserve and give permanent access to key UK websites for future generations. The 2013 Regulations presented the Legal Deposit Libraries with a huge challenge as one of the requirements is to archive the whole UK Web Space. As with previous UK Legal Deposit Acts, primarily dealing with print material, legal deposit of online material only extend to items published in the UK. Furthermore, due to the 2013 Regulations, the scope of our collecting substantially increased. For instance, the UK Web Archive collects many millions of websites and billions of individual “assets” (html pages, images, pdf’s, video’s etc.). Since 2017, the UK Web Archive has collected approximately 500TB of data. At least once a year, the British Library performs an automated “crawl” under the terms of the Non-Print Legal Deposit Regulations 2013 to capture as many UK websites as we can identify. This will result in further substantial increases in the huge amount of data that we now collect. The National Library of Wales and our Legal Deposit Libraries partners, led by the British Library, had been archiving websites from 2003 to 2013, but this was a permission-based model. In order for us to archive a website we needed prior permission from the site owner. Because of the new Regulations, we no longer need permission to archive a site if it is published in the UK. As for access, the site is viewable from here. However, under the Non-Print Legal Deposit Regulations 2013 access to much of the archived content is restricted to a UK Legal Deposit library reading room. Therefore, you will see a ‘viewable only on Library premises’ alongside many descriptions to archived websites directing you to one of the UK Legal Deposit Libraries for access. The UK Web Archive aim is to provide ‘open access’ to as many of these sites as possible therefore we are still contacting owners of websites requesting permission for us to open up access to archived versions of their websites. For instance, we already have an arrangement for a number of years with the Welsh Government allowing us to provide open access to their growing list of websites. Of course, the UK Web Archive will continue to expand and develop over the coming months and years. The UK Web Archive is one of many initiatives undertaken to successfully respond to the new Regulations and the challenge that the Digital black hole presented to us as Libraries. Now the site is live, we hope to increase interaction with our users. For instance, a feature of the site is Special Collections and if you would like to see content included in one of our special collections or provide general feedback on the UK Web Archive then please get in touch. We will be very happy to hear from you. International Tuberculosis Day was on March 24. It was a day to raise awareness of the devastating impact of the disease on health, society and economy. 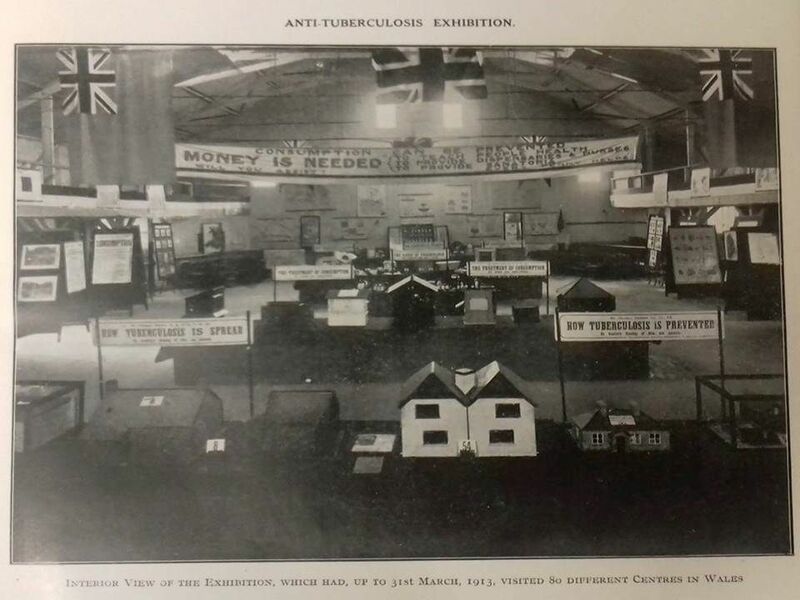 This blog looks at the campaign to eradicate tuberculosis in Wales by the Welsh National Memorial Association of King Edward VII, WNMA. Tuberculosis (TB) was a major problem in Wales in 1900. In 1910, seven of the fifteen worst affected counties in Wales and England were in Wales and the five counties with the highest mortality rates were also in Wales. A plan was needed to deal with the disease and with the vision of one man, David Davies, MP (1880-1944) the WNMA began. Creating an educational department to publish educational material and host anti-tuberculosis lectures. Funding a research department at the Welsh National School of Medicine, including the David Davies Tuberculosis Chair. A Newtown office was established and an advisory committee of 6 medical experts were appointed to work in education, disease detection, treatment, post treatment, and research. David Lloyd George, then Chancellor of the Exchequer, provided funding for sanatoria for the whole population through the 1911 National Insurance Act. By the Public Health Act (Tuberculosis) in 1921, all Welsh local authorities had transferred funding to the WNMA. Now, one national body existed with overall responsibility for the treatment and management of tuberculosis in Wales. The educational campaign concentrated on training individuals to avoid TB. Between October 1911 and March 1913, 80 touring exhibitions took place. The Campaign’s caravan, bought to facilitate traveling to rural Welsh schools, made it possible to educate and lecture 11,500 children on ‘The Laws of Health and the Prevention of Tuberculosis’. 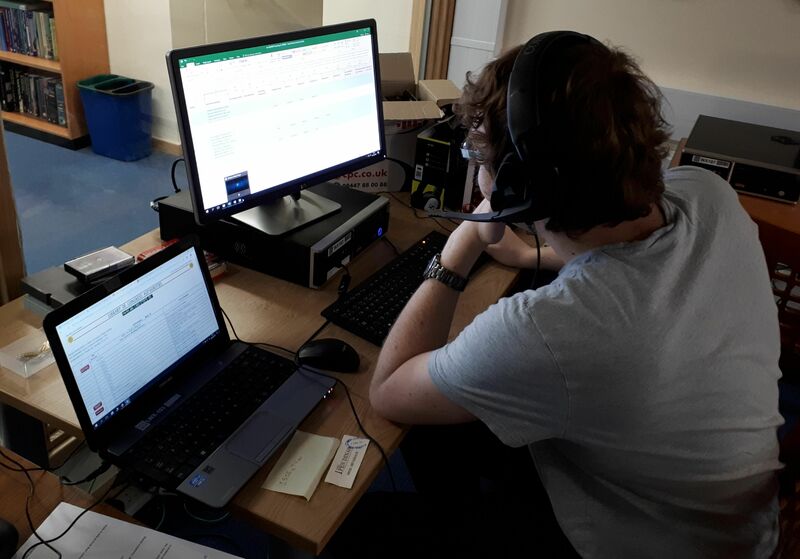 Topics included: sleep, fresh air at night, home lighting, healthy food, tooth hygiene, clothing, body and hair hygiene, and the link between milk and saliva and the spread of TB. Map showing hospitals, stations and sanitoria in Wales. NLW holds a complete collection of WNMA annual reports and minute books which form an important part of the Medical Printed Collection. 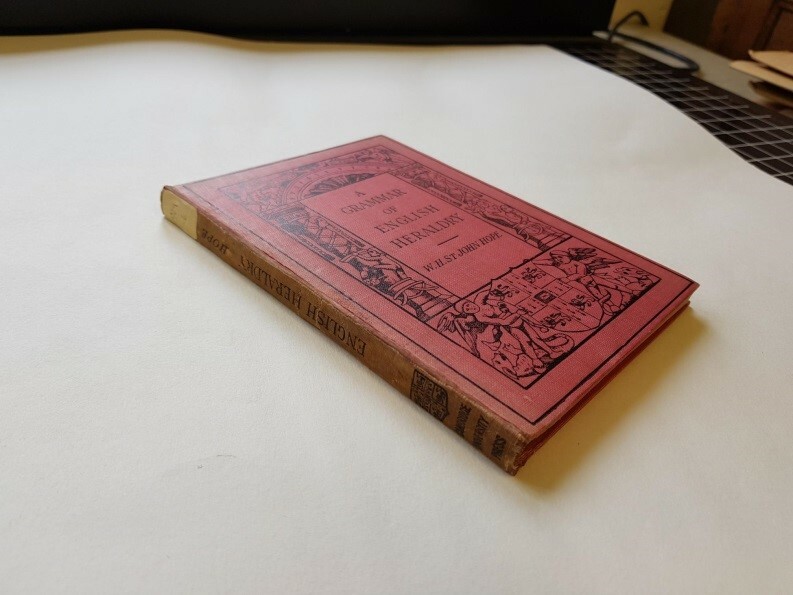 The ‘Medicine and Health in Wales before the NHS’ project will digitise these collections and they will be displayed online later this year. For further information, contact Branwen Rhys. 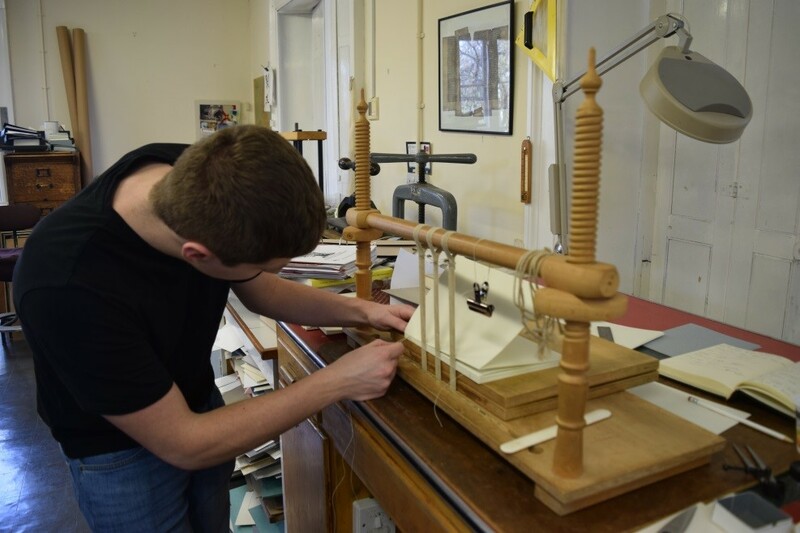 I spent the month of February in Hawarden to do my book binding module with Mark Allen, conservator at Flintshire Record Office. It was an intense month but I learned a lot about the history of different bindings and how they work. 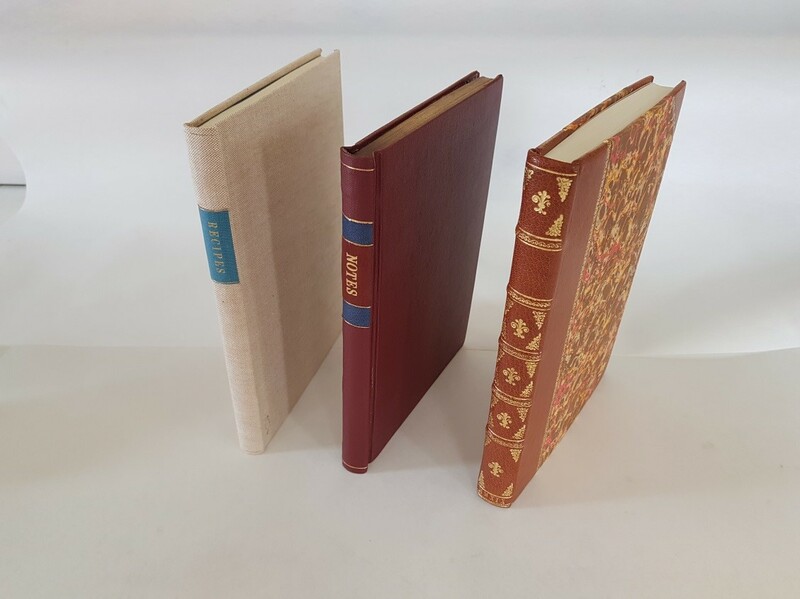 We started with simple bindings such as a single section binding and then moved on to create a variety of other bindings, such as case binding, library style binding and flexible style binding. The type of binding used depends on a number of factors, for example, the importance of the book, budget and time. Briefly, a case binding is usually much quicker to create and cheaper. A library style binding focuses on strength to ensure that the book can withstand daily use. Lastly, a flexible binding focuses on the overall presentation of the book. Some examples of these bindings can be seen below: from left to right, case binding, library style and flexible style bindings. I bound every book using a needle and thread. This is time consuming but it makes the book much stronger. As you can see in the image below, this is the piece of equipment we use to sew the binding. It holds the tapes/cords tightly while you sew around them. See below also for an example of what a library style binding looks like. Notice the use of the knotted tie down in the three sections at the beginning and the end. 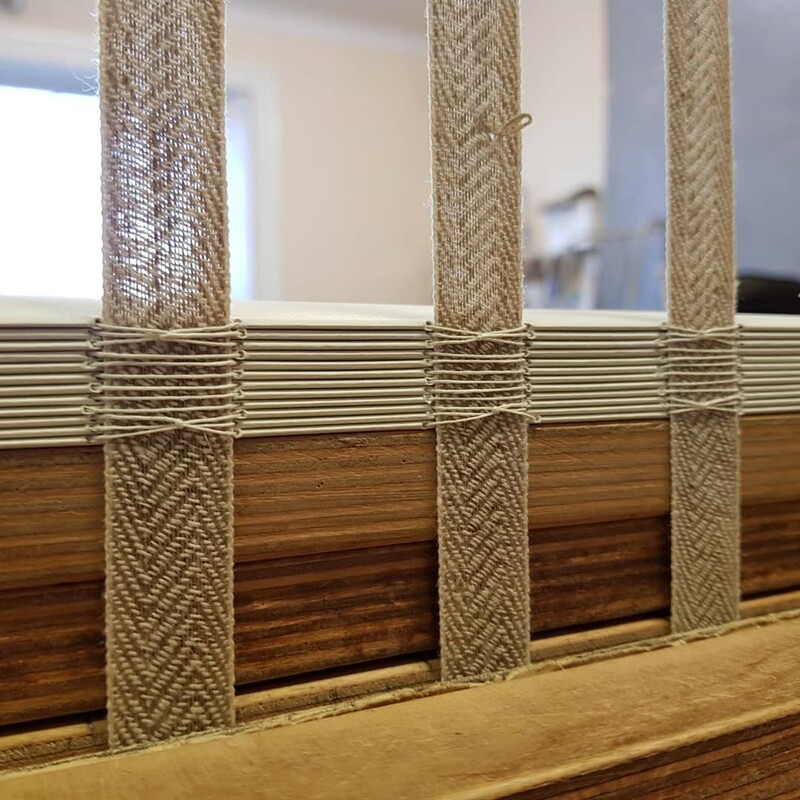 The first and last sections tend to be the first to break if the book is used frequently, therefore this strengthens the structure of the binding. I spent the first week learning about the history of different papers and books, and how Mark cares for the environmental conditions at the Record Office and the collections. It took the following two weeks to create examples of the different bindings. During my final week, I visited Denbighshire Record Office and also worked on some books from the Flint Record Office collections. 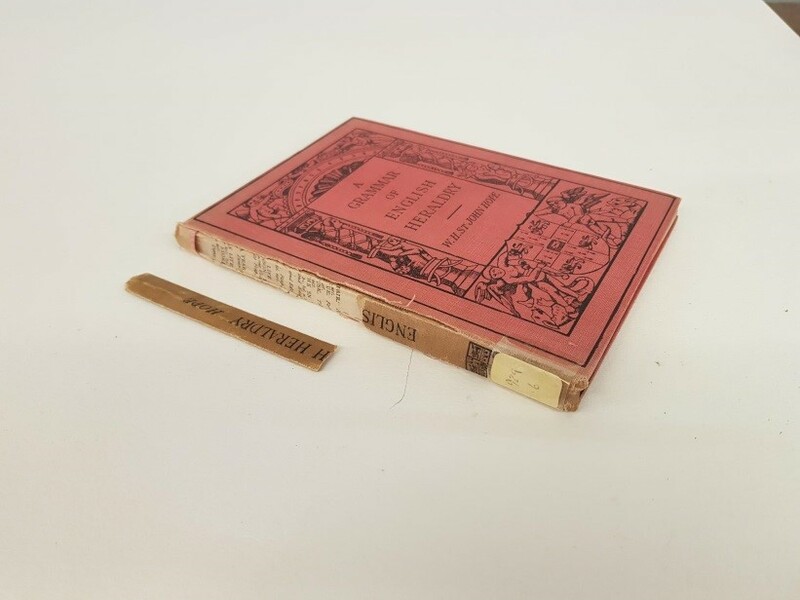 Below is an example of a relatively simple task where the spine of the book had become loose and the joint had been damaged. I lifted the spine from the book and attached new material to strengthen it, before using new cloth to attach the two boards to the spine to strengthen the joints. This is a guest post as part of the Story of Wales series, which looks at different aspects of Welsh history, and how today’s Wales remembers, and shapes it. Subscribe to the blog on the right to ensure you don’t miss any posts. The Pennal Letter is one of the most striking documents produced in Wales during the Middle Ages. It reveals a confident Wales that played an important part in European politics at the beginning of the fifteenth century. By March 1406, when the letter was written, Glyndŵr had experienced incredible success. After a disappointing start in 1400 the rebellion had swept throughout the country winning military victories, capturing a number of Edward I’s main castles and attracting support from the French king. 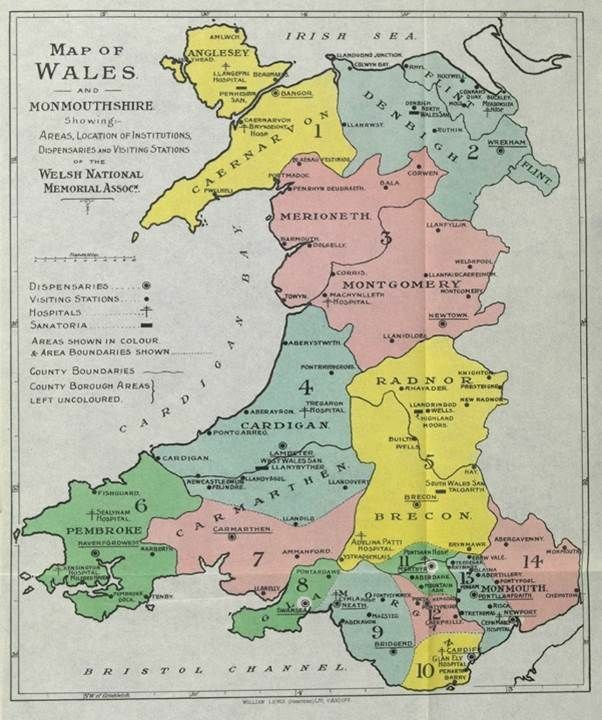 Glyndŵr was crowned prince of Wales and he held a parliament with representatives from every corner of the country. He had succeeded in creating a Welsh principality that was free from the control of the king of England. But by 1406 the tide had begun to turn against the rebellion. In the months before the letter was written Glyndŵr lost battles, his brother was killed, his son was captured and some parts of the country began to waver in their support. He had therefore to regain momentum by ensuring further support from France. At the time of the rebellion major events were happening in Europe’s history. European kings were divided by the Hundred Years’ War between France and England, and the Church was split in two by the Papal Schism when two popes were elected in opposition to one another. France supported the Avignon pope while the Roman pope was supported by England. The purpose of the letter was to strengthen the alliance between Wales and France by transferring Wales’ allegiance from the Roman pope to the Avignon pope. The letter made Wales an independent player in Europe’s political games and placed the nation at the centre of the greatest events of the day. What we also see in the letter is Glyndŵr, as in many other aspects of the rebellion, following a policy that was at the same time both traditional and radical. An alliance with France made political sense, but Glyndwr was also following in the footsteps of other important Welsh rulers. In the 1160s an alliance existed between Owain Gwynedd and Louis VII while in 1212 a similar relationship developed between Llywelyn the Great and Philip Augustus. Only a few decades before the Glyndŵr Rebellion the king of France had supported Owain Lawgoch, a descendant of the princes of Gwynedd, in his attempt to become prince of Wales. the revenue of the Church in Wales should stay in Wales rather than, as often happened, going over the border to England. This vision wasn’t fulfilled in Glyndŵr’s day, but modern-day Wales – with its parliament, universities, national institutions and emphasis on the importance of the Welsh language – in many ways resembles the vision outlined by Glyndŵr in the Pennal Letter. It was reported in the news recently that Welsh was spoken on an episode of the television series Star Trek. This isn’t the first time that Welsh has been heard among the stars because the Welsh piece of music ‘Yr hufen melyn’ (literal translation ‘The yellow cream’) was once sung on an episode of Star Trek: The Animated Series. The famous phrase associated with Star Trek is, of course, “Beam me up, Scotty!”. Montgomery Scott (or “Scotty”) was the engineer on the starship Enterprise and one of his feats was to transport members of the crew to different locations using a beam. “Beam me up, Scotty!” was the call for his help and it is he who sang the song. 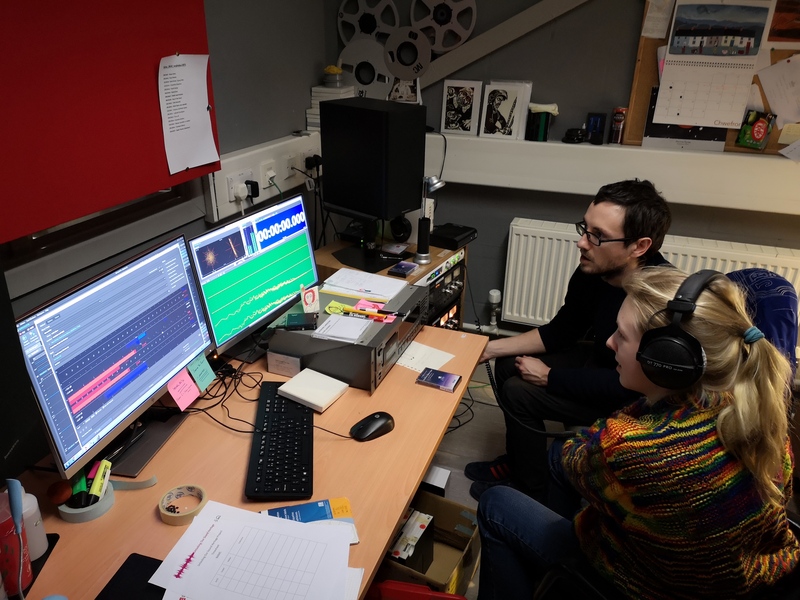 I heard about the connection between ‘Yr hufen melyn’ and Star Trek through the harpist Llio Rhydderch who is preparing notes for her new CD. She heard the fact from Dylan Meirion from Bangor. 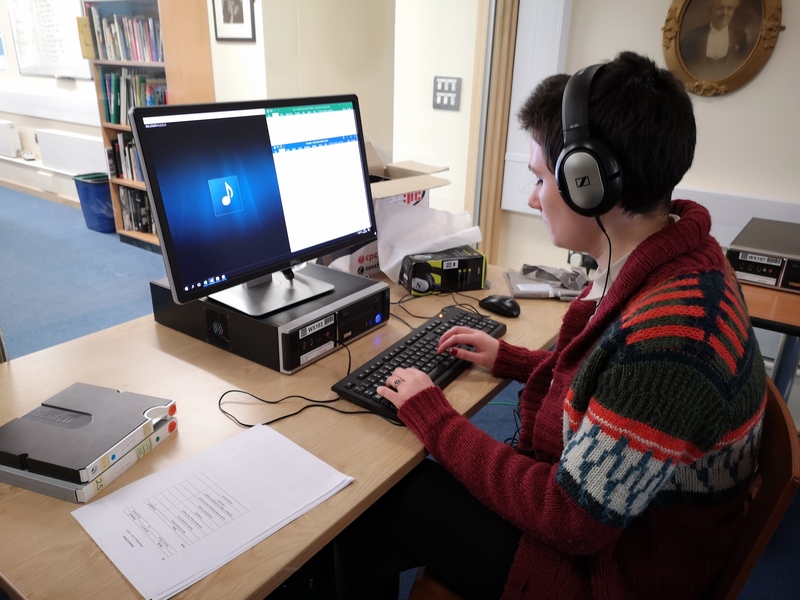 We explored the history of the piece of music, and thanks to her musical expertise and the Library’s rich resources, more information came to light, including information about the version that Scotty sang. The song has appeared in a number of different forms and under various names e.g. 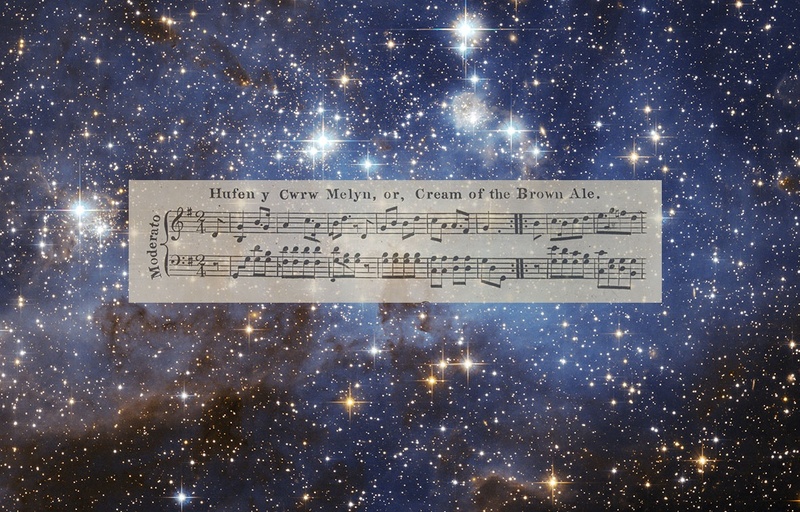 Yr hufen melyn, Hufen y cwrw melyn, Cream of the brown ale. But which of these numerous versions was sung by Scotty? In the opinion of Llio Rhydderch, Scotty’s version is similar to the version noted by Alfred Perceval Graves in the volume Sixteen Welsh melodies (1909). The Y tant aur version will be performed by Llio Rhydderch on her new CD and we look forward to hearing it. Without the rich folk tradition and without music archives, what would Scotty have sung? It seems that March has become the ultimate month to broadcast the achievements of women, of today and yesterday. Even though International Women’s Day has come and gone this year, March continues to hold the official status of Women’s History Month. It should come as no surprise that we continue our Story of Wales series with a summary of a truly remarkable woman’s life – Cranogwen. Rest assured however; we will continue to evaluate the story of the women of Wales throughout the series, as should be done of course all year round! Sarah Jane Rees (b. 1839), known by her bardic name Cranogwen, was an innovator in many fields. 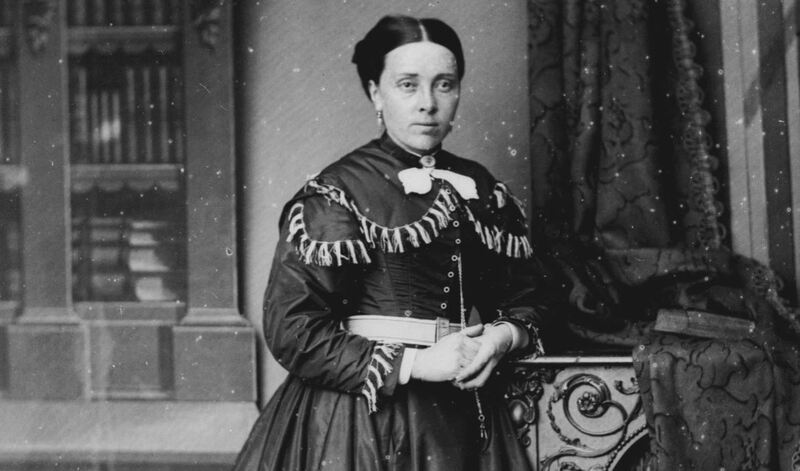 A tall, striking and confident woman, she defied many of the notorious restrictions famously associated with the Victorian era and followed a career packed with extremely diverse experiences and achievements. It’s no wonder that historian Professor Deirdre Beddoe referred to Cranogwen as ‘the most outstanding Welsh women of the nineteenth century’. Cranogwen first came to prominence as a master mariner. Having been raised in the coastal village of Llangrannog; having to bid her ship captain father farewell many a time as a child, it seems that Cranogwen was also destined for life on the sea. To her parents’ disappointment, she began a career in the nautical field and worked as a sailor on cargo ships for two years, sailing between Wales and France, before returning to London and Liverpool for study. Cranogwen would go on to gain a master mariner’s qualification, allowing her to command ships all over the world. 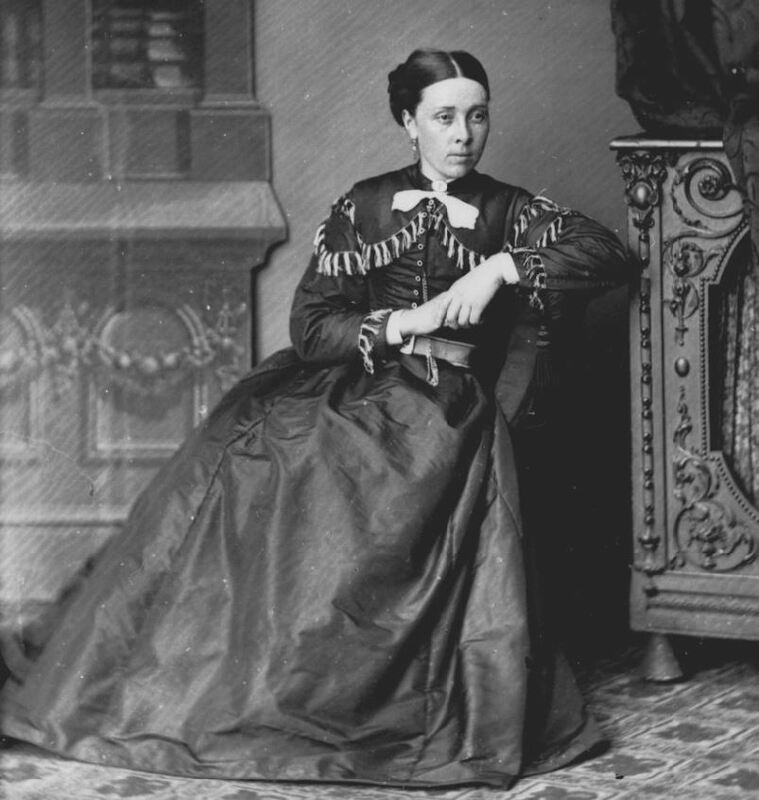 However, in 1860 at the age of 21 she would return home as an educated young women and thus was appointed to the role of head teacher at her local school. It would seem that Cranogwen’s grasp of the Welsh language was as impressive as her handling of a ship’s helm! She became the first ever women to win a poetry prize at the National Eisteddfod. Her success at the Aberystwyth festival of 1865 gave Cranogwen a public platform and in a way made her an overnight celebrity in Wales! 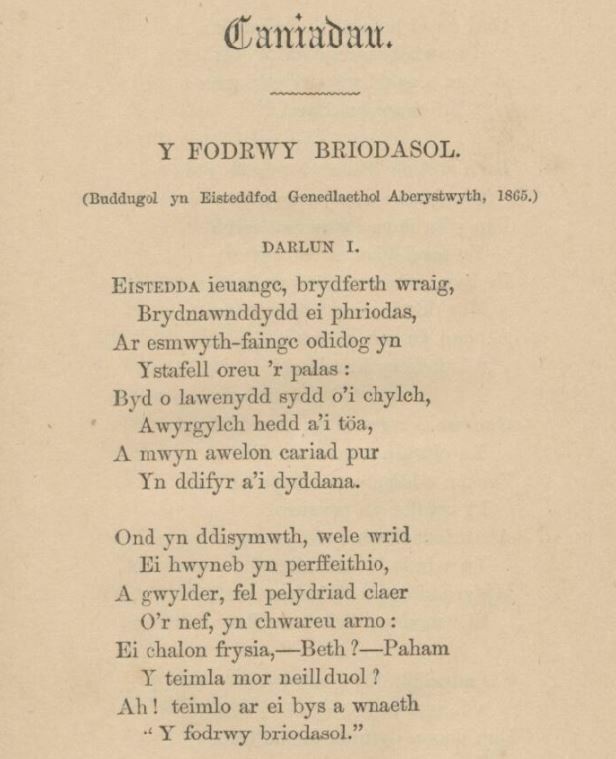 Writing under the bardic name Cranogwen, Sarah Jane Rees’s poem ‘Y Fodrwy Briodasol’ – The Wedding Ring – was a somewhat humorous and sarcastic response to the married woman’s destiny. 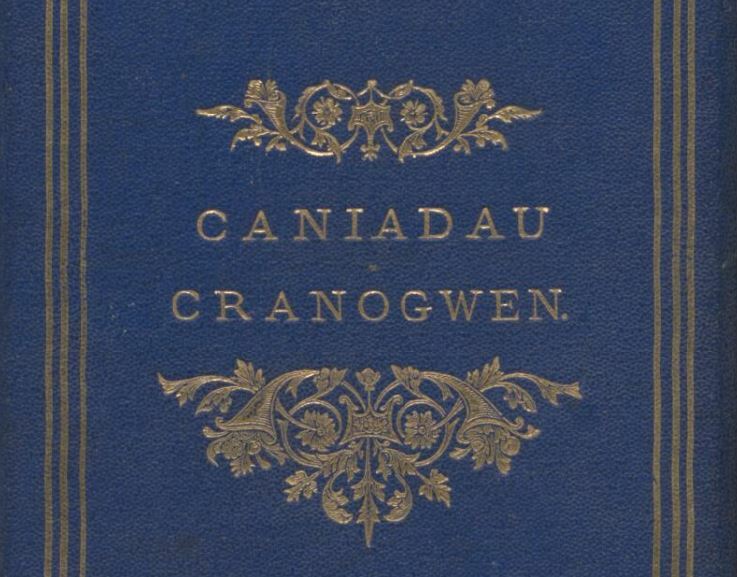 It only took Rees five years to become a published poet and her popular collection ‘Caniadau Cranogwen’ appeared in 1870. Cranogwen is remembered as the first women to attempt many goals within the literary field in Wales. 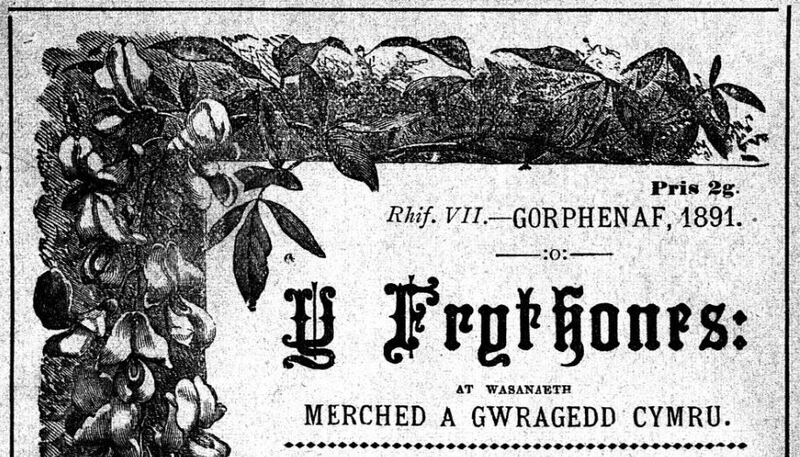 Among her greatest achievements was the success of ‘Y Frythones’; the only second Welsh magazine to be dedicated to women’s issues, and the first to be edited by a female. Cranogwen’s vision, as editor, would drive and shape the magazine’s content from 1879 to 1889. The publication included many interesting features including short stories and poems, campaigns, problem pages and advisory columns. As a general rule, every issue would also contain an article dedicated to the life and work of a respected woman, set as an example to the reader. Cranogwen also championed the works of other female writers in ‘Y Frythones’ and gave many a platform to develop and showcase their voices. It seems that Cranogwen’s talents were endless! She was an effective public speaker and travelled to America twice in order to address audiences and lecture on various subjects. Among her many passions was the issue of Temperance and she was a key figure in the Movement. In her view, alcohol was extremely destructive to the family unit. 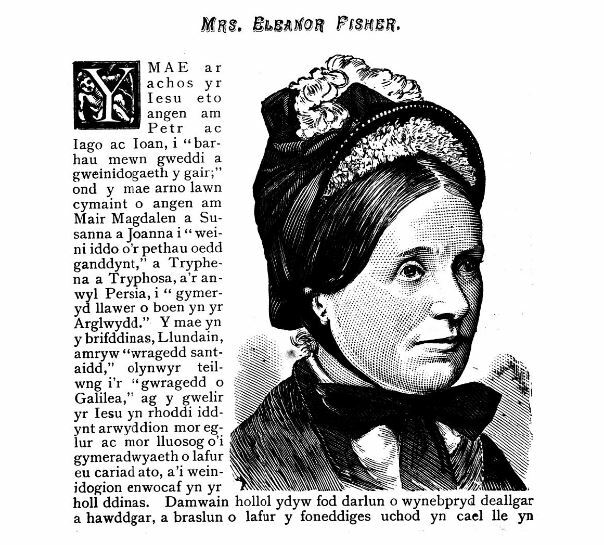 In 1901 she founded the South Wales Women’s Temperance Union, which had developed over 140 branches by 1916. 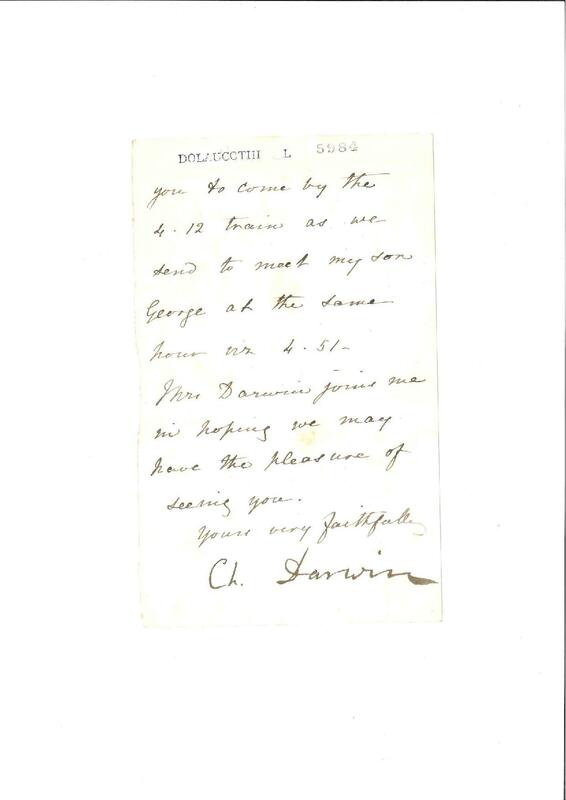 The first is the last page of a letter by an amanuensis, signed by Darwin, with train times and arrangements for meeting the unnamed recipient. (NLW, Dolaucothi L 5984). 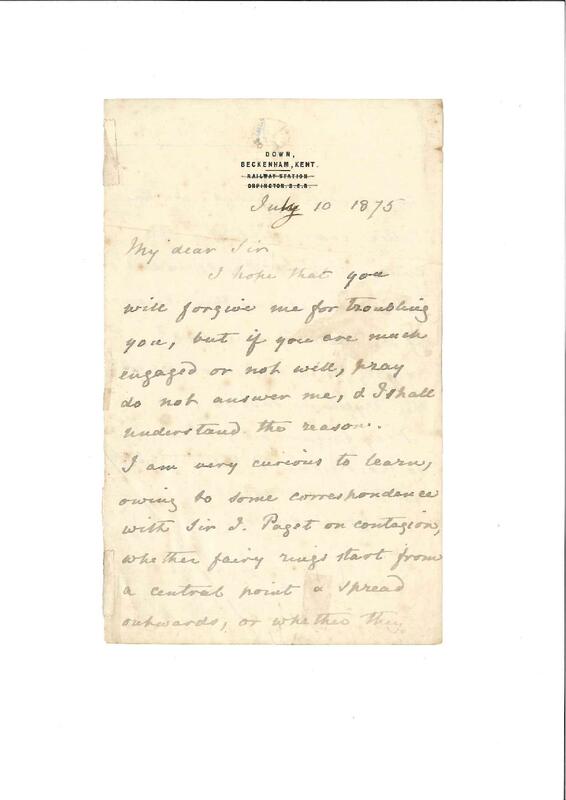 Secondly, a letter dated 10 July 1875 written to an unnamed recipient by an amanuensis, again only signed by Darwin, thinking about contagion, and asking whether fairy rings start from a central point and spread outwards, or whether they start as rings. Also, whether it is known on what the mycelium subsists? (NLW, SA/CR/219). 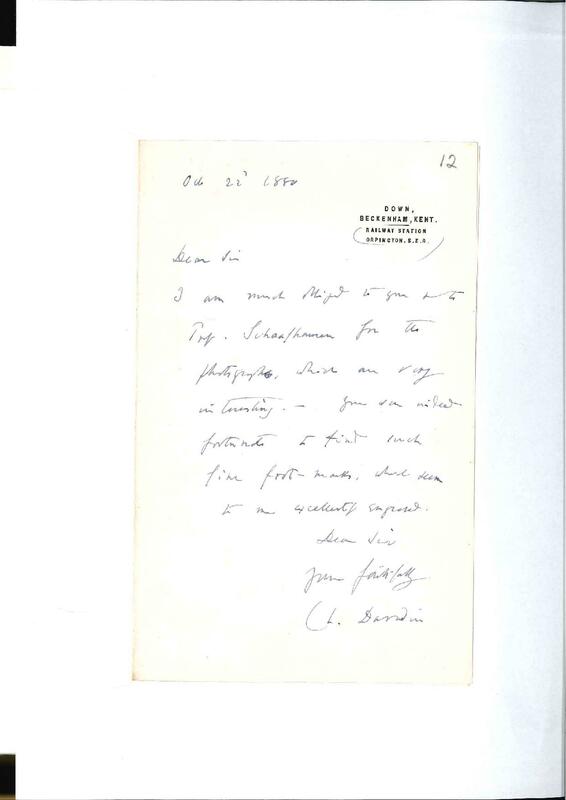 This letter is clearly, and the others possibly, part of an autograph collection. Some of the other letters in this collection, including one from Charles Dickens, have been framed, with the frames showing traces of blu-tack. From before their arrival at the Library, I hasten to add! And lastly, a letter dated 22 Oct. 1880 to Thomas Henry Thomas (‘Arlunydd Penygarn’, 1839-1915), artist and active member of the Cardiff Naturalists’ Society. Darwin thanked Thomas and Prof. Schaefhausen for the photographs, which he found very interesting, and that Thomas had been fortunate to find such fine foot-marks. (NLW MS 3127C, no. 12). All three letters have been submitted to Cambridge University’s Darwin Correspondence Project. The Library also holds several letters by Alfred Russel Wallace. Something for another blog, another day perhaps.